Christoph Wimmer, born in Steyr, Upper Austria in 1983, began his musical career playing the clarinet. Very soon, however, he changed to the double bass and was a student of Mag. Siegfried Nagl at the music school in Sierning for many years. In 1997 he started his studies with Prof. Anton Schachenhofer at the Bruckner Conservatory (now Anton Bruckner University) Linz and attended the local music grammar school, where he took his A-levels in 2002. Besides studying he attended many master classes, held for instance by Prof. Johannes Auersperg, and he got the chance to perform as a soloist under the guidance of Sandor Vegh. In the summer of 2000 he was awarded the first laureate at the contest "Prima la musica". Numerous solo concerts, also with the Bruckner Orchestra Linz, and intensive chamber music activity have marked his musical path. He gained further valuable experiences as a member of the well-known Gustav Mahler Youth Orchestra and of the European Union Youth Orchestra. In 2002, Christoph Wimmer got his first engagement at the Vienna Symphony, and after a successful audition on December 1, 2003, he started his employment with the Vienna State Opera Orchestra. 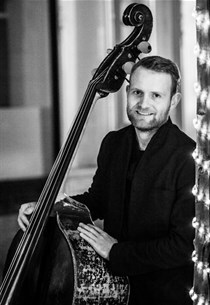 In 2006, he became a member of the Vienna Philharmonic and has been the principal bass player of the orchestra since then. Beside this engagement, he graduated as a Bachelor of Arts at the Anton Bruckner University Linz, where he is now taking his Master of Arts degree.